This section of the introduction provides the overview of the topic. The chapter also reflects the background of the topic and will build an understanding about the research topic. Firstly, the chapter will give the elaboration of dividend policy, stock market and various aspects related to both. Secondly the overview of the reaction of the stock market is discussed on the dividend announcement. The information is being discussed with special reference to Pakistan. The whole discussion will lead towards the formation of the research questions. Finally, the section will end up defining the research objectives, significance of the research and the limitations of the research. Looking for a reliable writing service where you can buy custom written essay papers? Then try Pro-Papers – a top-notch service with experienced professional writers available 24/7 online! The dividend is the most important and extensively used decision in the area of finance. There are a number of discussions related to the dividend that have elaborated various ways about how an organization pays its dividends and why the organizations pay its dividends. All the research of this field is being done in the markets of developed countries, but research is found about the stock market of Pakistan. Recently, Pakistan has emerging markets which need to be explored. There is an imbalance of research between the markets. The tax regime in Pakistan is not very ideal regarding the dividend or capital gain. It is the reason this research is conducted to bridge the gap that what is the motivational force behind the organization behind their dividend policies. The research is contributing towards the literature that will be helpful in reflecting the various dimensions of dividend policy in Pakistan. There is a huge impact on the share prices of Karachi Stock Exchange of the announcements of the dividends. There are affects that dividends leave on the value of shares in Karachi Stock Exchange. There are a number of opinions about the effects of that have their impacts on the firm value. Some thought that there is no relationship between the dividends and the value of the shares. In Pakistan, there are a number of motivational factors in order to take decisions. There is a very little work done about the market of Pakistan. So the research will provide with a comprehensive knowledge about some of the listed companies of the stock exchange of Pakistan and the impact they have due to the dividend announcements. Almost 40 percent of the companies of Pakistan paid dividends in spite of the fact that the taxation is a big hurdle in a way. Pakistan came into being in 1947. Before that, the central bank the Reserve Bank of India. After independence of the country, 30 percent assets of the bank were given to Pakistan. At that time, the most important priority for newly born country was the establishment of a central bank. In response of this need, central bank was created and named as The State Bank of Pakistan. This bank started its operations on July 1, 1948. Karachi was the largest city and financial capital of Pakistan at that time. Therefore, head office of this central bank was located in Karachi. The regional branches of this central bank were also opened in the capital cities of other provinces. The State Bank of Pakistan had its offices in Lahore, Quetta and Peshawar. State Bank of Pakistan Act of 1957 gave the responsibilities of regulation of the financial system to the State Bank. After this act, the role of the State Bank was increased. The Banks Nationalization Act of 1974 further increased the role of the central bank in financial regulation. Under this act, all the banks of the country were acquired by the state and came under the umbrella of the State Bank of Pakistan. This bank became the central power in shaping the monetary policy and in regulating the economy. The State Bank of Pakistan Act was modified in 1994 and 1997 giving more control the bank. According to the amendments of 1997, the credit policy and credit regulation responsibility has also been given to the state bank. The State Bank of Pakistan is now responsible for issuing a quarterly report on credit, money supply, financial growth to the parliament of Pakistan. Now both traditional and non-traditional roles and functions are performed by the SBP (Arby, 2004). The primary and traditional roles of the bank are to perform primary activities such as regulation, supervision, and issuance of notes and lender of last resort. The SBP has an influence in shaping the monetary and credit policy of the country. Moreover, the bank is responsible for managing foreign exchange reserves and relationships with international institutions. The public debt management also falls under the primary responsibilities of the SBP (SBP, 2011). The non-traditional activities of the bank include development and promotion of financial institutions and activities within the country. The institutions include micro-finance banks, commercial banks, Islamic banks and DFIs. The capital market regulation is also another secondary function of the SBP. Moreover, policy implementations are Islamisation of the banking sector is also regulated by the SBP. In 2005, SBP took steps to increase the Capital Adequacy Ratio and Minimum Capital Requirements of the commercial banks operating within the country. A circular was issued for this purpose. These steps lead to the acquisitions and mergers in the banking industry. As a result of this step, the internal decisions and policies of the banks were also affected. These policies included decisions about dividends as well. The banks started to give dividends in the form of shares for the purpose of increasing their capital. The banks began to increase their capital in this way. In 1981, capital market of Pakistan and the corporate sector was regulated by the Ministry of Finance by establishing the corporate law Authority (CLA). So in this regard to regulate the corporate sector of Pakistan the companies Ordinance 1984(XLVII of 1984) was enacted. The core purpose of this ordinance which was the preamble of this law was “to amend and consolidate the legislation which is related to associations and many certain companies.” (p.1) so the CLA which was the government department and was working under the shadow of Ministry of Finance, did not have financial and administrative autonomy in many main decisions which are relating to the financial sector. So when the financial sector had growth in size in the decade of 1990s its scope of remit widened. So in 1997 the CLA was restructured according to Capital Market Development plan which was purposed by the Asian Development Bank. SECP Act was promulgated in 1997 and, as a result, on January 1, 2009 the SECP started its operation. By doing this SECP replaced the CLA, and corporate sector was regulated by it, the financial sector and Capital Market of Pakistan. In Islamabad, the head office of SECP is located; also, it has eight regional offices which are located in Karachi, Peshawar, Multan, Sukkar, Lahore, Faisalabad and Quetta. Ministry of Finance appoints the chairman of SECP. You missed an important lecture on the rules of essay writing, and the delivery of a very important work is near? Do not despair, Pro-Papers is always ready to suggest good hooks for essays. The services of SECP include take over and merger of companies; registration and acquisition; enforcement of regulations and implementation of laws. The monitoring of the corporate laws and insurance sector also fall under the responsibilities of the SECP. SECP is also involved in stock exchange development, companies winding-up, stock brokers functions, portfolio managers and share transfer agents. The regulation of issues of security, education of the market, security of market, audits, protection of the stock exchange and revision of the corporate laws are also functions of the SECP (SECP, 2011). Different divisions of SECP operations are made in order to perform different functions: securities market; human resource; company law; training; specialized companies; information systems; insurance and technology division. The first-stock exchange in the region of Pakistan was established in 1934 in Lahore. This establishment was before the independence of the country. This exchange was merged with another exchange named Punjab Stock Exchange in 1936. At that time, the securities were traded in three locations of Lahore (Mirza, 1993). After the independence of the country, all the stock exchanges ceased their operations. The Karachi Stock Exchange started its operations in the major city of the Pakistan on September 18, 1948. This stock exchange was the first official stock exchange of the country. KSE started its operations as a group partnership of interested and later gained the status of the company limited by guarantee. The first-stock exchange in East wing of the country became operational in 1954 with the name of Dhaka Stock Exchange. From 1947 to onwards many efforts were made to establish a stock exchange in Lahore but these efforts were fruitless. The stock exchange of Lahore became operational in 1971. The capital city of the country changed from Karachi to Islamabad, and a new stock exchange with the name of Islamabad Stock Exchange became operational in 1991. Currently, three-stock exchanges are operating in three major cities of the country. Different securities are traded at the platform of the Karachi Stock Exchange. These securities include common stock shares, redeemable shares, preference shares and bonds. The KSE is also trading derivatives of these securities now. There is a cap put on the variation of securities by KSE. The variation of five percent on opening share price is now allowed. In the case of a share having opening price of Rs. 100, the fluctuation of only Rs. 5 is allowed. Anything more or less this amount is not acceptable. The KSE is also playing the role of information disseminator for fair market operations. The interest of public is also safeguarded in this way. The KSE issues the list of companies which default. In the case of default, the companies are de-listed, and their shares cannot be traded at the stock exchange. If a profitable organization does not announce dividend over the period of five years, it is also delisted. The purpose is to safeguard the interest of the general public. The Karachi Stock Exchange is the largest exchange of the country. The turnover of KSE is 85 percent while the turnover for ISE is lowest at 1% only. The LSE shows are turnover of 14% (Iqbal, 2008). The reason of low-trading volume at LSE and ISE is that most of the companies are listed at KSE as well as these stock exchanges. Most of the trading activities are carried out at KSE leading to low-trading volume at LSE and ISE. The shareholdings in the country are 40% by promoters, 35% by small investors and 25% by institutional investors (Lukman, 2010). The returns on the shares are tremendous. From 1998 to 2008, 30 percent per annum was earned by the equity shares in the country. The growth of all the exchanges of the country is showing an upward trend in the recent years. The market capitalization rose by 261 percent for KSE, 174 percent for LSE and 183 percent for ISE. These figures are from year 2004 to 2007. The maximum growth was made by the ISE. In the year 2008, the stock market showed a downward trend in response to the global recession. However, the growth figures still remained higher than the figures of the year 2004. National Clearing Company of Pakistan is responsible for the clearing of transactions of all the stock exchanges. This institution was established in 2001. The purpose of this institution was to settle the securities of all the stock exchanges within the country. The proof of securities was initially created in the form of physical certificates. The volume of trading is increasing, and it is becoming difficult to manage these physical certificates. For this purpose, Central Depository Company was established in 1997. The responsibility of CDC is registration of security transfers. Electronic systems are used for this registration process. The use of these electronic entry systems is gaining familiarity in the country. Now almost 97 percent of trading volume settles through CDC. NCCPL and CDC are working for the digitization of the security market of the country. The second largest stock exchange in the country is LSE. It has 511 listed companies. These companies are from 37 different sectors of the economy. The total members of this stock exchange are 152 out of which almost 60 percent are corporate members and rest 40 percent are individuals. This exchange has two more branches in the city of Faisalabad and Sialkot. It is the most modern and dynamic exchange of the country. It is the first exchange in the country which started trading on an automated system in 1994. This exchange now offers the facility of internet based trading to the members. The dividend policy of Pakistan is of great importance for the value of the stock market of Pakistan. Dividends are considered to be the best source of capital gain. There is a large gap of research in this field especially in the developing countries. The Pakistani market is one of the emerging markets of the world. The dividend and its impacts are widespread and is the most important field in the area of finance. 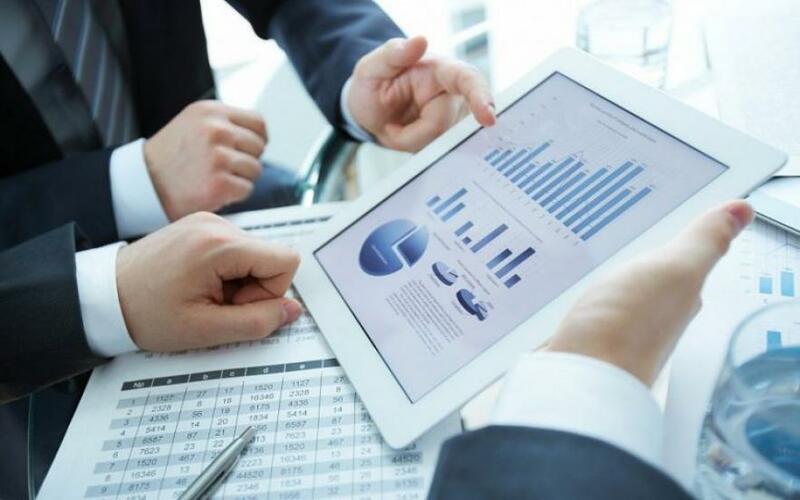 The other problem that has been considered for this research is that in the presence of the taxation regulations organizations are not hesitant to announce the dividends. A detailed investigation is required to find the why the large proportion of the firms is ignoring the disadvantages. The dividends have a large impact on the liquidity position of any firm. It also has an impact on the macroeconomic level. Owing to all of these issues a comprehensive explanation is required. Does there is any relationship between the dividend announcements and the fluctuations of prices of shares in the stock market of Pakistan? How much price sensitive is the stock market due to the dividend decisions? What is the importance of the dividend policy and its impacts on the stock market? Why the organizations are interested much in dividend payments in spite of its disadvantages? Have you been asked to write a short business report at your company? Without a sufficient time for preparation it’s virtually impossible, so we’d recommend you to address to Pro-Papers. The research serves the governmental institutions of finance and financial analyst to determine the widespread impact on the dividend on the share value. It will help the policy makers and provide them with the necessary information for the formulation of the policy. The organizations can use this information for the purpose of developing a more comprehensive and profitable dividend policy for their firms. The investors can also get the advantage from the research by getting the information about the trends and structure of the stock market of Pakistan. It is a research of its own kind as no previous research in this area has been done to analyze the views of practitioners about their views on why dividends are paid in Pakistan and the factors considered when determining the dividend payout level; this gap in the literature needed to be filled. Secondly, it discusses the main findings of the impact in this research and evaluates the contributions to the work and the implication of the results on a real-time trading of the stock market.